Cannot fault Andy, Spot on trainer. Good interaction and great conversations. Well presented. Knowledge is good. Course is on application of the knowledges. I like the pace of the training. Good trainer, was enjoyanle and interactive. The amount of pre - course interactive is overwhelming. Great course leader, but volume too much in a week. Not enough time. Trainer delivered well. Excellent training skills. Very patient gave relevant and exciting examples ( real life ). didn't rush through the slides. been very helpful. Course admin very helpful and informative felt ready for the course. Very Knowledgeable , informative, approachable. Case study could be more relevant to the audience. Excellent Input from the trainer. John made everyone feel at ease and able to contribute. very knowledgeable and made the content relevant and useful. Well presented & previous experience helped delivered course successfully. Learnt much more than I expected, Very good examples throughout. Some things at times were rushed through however this was more due to the amount of knowledge actually needed to know at this level. It at times left you worthy a little more. fantastic knowledge very approachable. Eager to ensure everyone is happy before moving on. The trainer chris was extremely good, very good knowledge of the topic. Excellent trainer with excellent knowledge of APM project management. Chris is a brilliant instructor and made the course very easy to understand. His knowledge on APM was brillant and could give examples to all aspects. Course Name : Tailored project management, cost, planning and leadership courses. I thought everything was delivered at a good pace and explained well. Good Venue. E-learning could have been more informative. Inclusive of basic P2 info to assist in getting to grips with P2 terminology. Top job. Everything was great. Only thing I would change is the lengths of the days, in the last hour people got drowsy. Excellent documentation and explanations. One of, if not the best tutor trainer I've had and I've been on many courses. There were about four emails all from alternatives addresses ( learning campus / APM/an individual / Novare ) and missed one of the less obvious Yet very important emails with the learning details. venue is poor. Cold + not great with .... natural light. Very good examples from other organisation. Excellent course. The topics will be no doubt be very useful within my day job. David was very knowledgeable within the subject matter and would draw on his experience from his professional life. 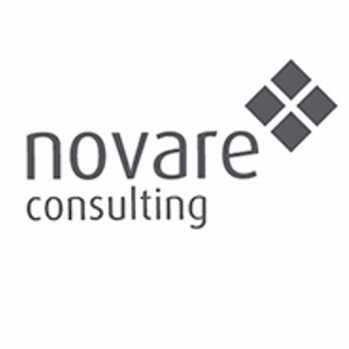 He is an asset to Novare Consulting. Fit for purpose. Well planned. Able to engage and communicate with class. All good. Friendly & relaxed. nice style. Too much material. Very good trainer and presenter, very experienced. Tailored project management, cost, planning and leadership courses. We are one of the most respected providers of Project and Programme Management expertise in the market today and these capabilities have been at the heart of our business since our formation in 2002. Since then we have achieved over 12 accreditations across 5 P3M Professional Bodies – PMI, APM, APMG, AXELOS & ECITB. We have spoken at over 30 professional conferences and contributed to many international standards and frameworks on behalf of the Professional Bodies. We have helped many of them to apply their learning to their programmes through follow-on workshops and consulting support. It is this unique combination of consulting, training and delivery experience focused on P3M that our clients really value.We specialize in providing Project and Programme Management Training courses and consultancy services in PRINCE2, MSP, MoP, MoV, APMP, MoR and P3O. We also provide a light touch version of PRINCE2 and MSP called MicroP2 under licence.